As per usual, I haven’t really been consitent with my monthly favorites and since I’ve skipped April and May I have tons of favorites lined up. So this is technically not June favorites, it’s more like, I skipped two months so I better make up for it by listing favorites from April and May as well… enjoy! The best part of the newest Spiderman franchise is the cutest real life relationship between its two leads – Emma Stone and Andrew Garfield! I loved them separately and ever since they started dating, I’ve been loving them together. She is the cute and funny American girl, he’s the awkward baby faced British boy and I want them to have lots and lots of babies! Their promotional tour with the latest Spiderman was filled with so many great moments it’s hard to pick the best one.. May it be their appearance on Ellen, him looking at her like that or Emma rocking the lip-sinc battle with Jimmy Fallon. Separate, or together, they are my favorites! From favorite lovebirds to food because that’s the connection I make when talking about love – food! Ever since I’ve been working in an Italian fast food restaurant, pizza has been the man in my life. It sounds depressing but it isn’t because pizza is amazing! Most recently I’ve been ordering Pollo Arrosto with extra spicy sausage, which is basically a chicken pizza with BBQ sauce and a little bit of bruchetta on top – it is a thing of beauty that one, I’m telling you, a thing of beauty! 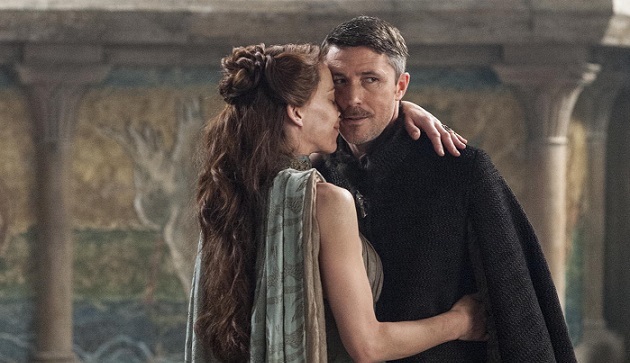 The second man is a character that is far less honorable but he still managed to crawl under my skin – Littlefinger! Some of you already know this about me but I like them weird, scary, power hungry and serial-killer-esque sometimes and Littlefinger ticks all those boxes with the added bonus of having a soothingly dirty voice. And despite all the crazy what was happening this season, and what was NOT happening, Littlefinger’s story line interested me a lot. And finally, I want to spread some blogsphere love to Karamel Kinema who returned to us after an unexpected hiatus and I for one am very grateful she did. I missed her reviews, her crazy good visuals and all in all, it’s nice to see bloggers returning when so many just stop and never look back. Keep strong bloggers, and spread your passion ! My wife and daughters are all over So You Think You Can Dance. I don’t love it like they do, but I’ve certainly come to appreciate it. I love so many things about this post too! Emma Stone and Andrew Garfield, pizza, Oberyn, and yes, even creepy perv Littlefinger. Sansa’s story is fascinating, and I look forward to where it goes next year, and how Littlefinger will play into it. Oh wait…call him Petyr. I love SYTYCD but we don’t get it in the UK anymore. Emma Stone and Andrew Garfield are perfect! I really think he’s a perfect Spiderman as well! Pizza is always a favourite haha – and wow I miss Game of Thrones so much already! 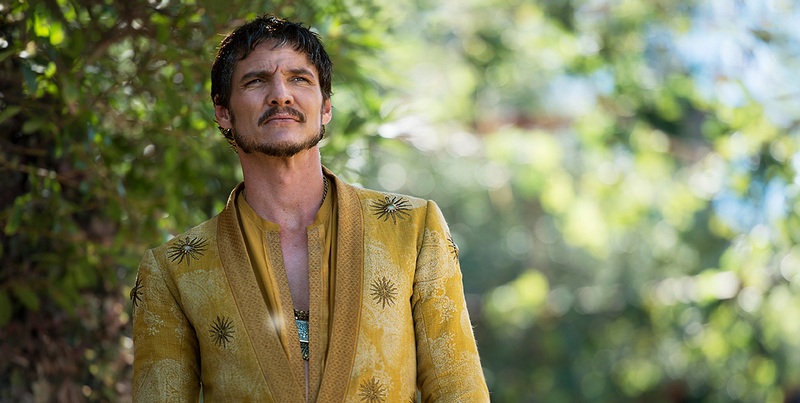 Oberyn was my favourite part of this season, so sad to see him go! LF gives me the creeps but he is a very interesting character indeed. Everyone will miss Oberyn forever :/ Good thing at least the showrunners didn’t ruin that storyline and it was probably the best adapted one storyline this season. That’s sad.. that Oberyn’s was the best adapted one because this show has SO many story lines.. how can they mess up almost all of them!? PS: I’m reading the chapter where Catelyn’s brother agrees to marry a Frey.. I almost threw the book against the wall because .. that means… Red Wedding is approaching. So many GOT reviews (especially yours and Sati’s) yeti have not finished my marathon this season *oh so many things to watch, so little time! * Hope i’ll be able to catch up soon! 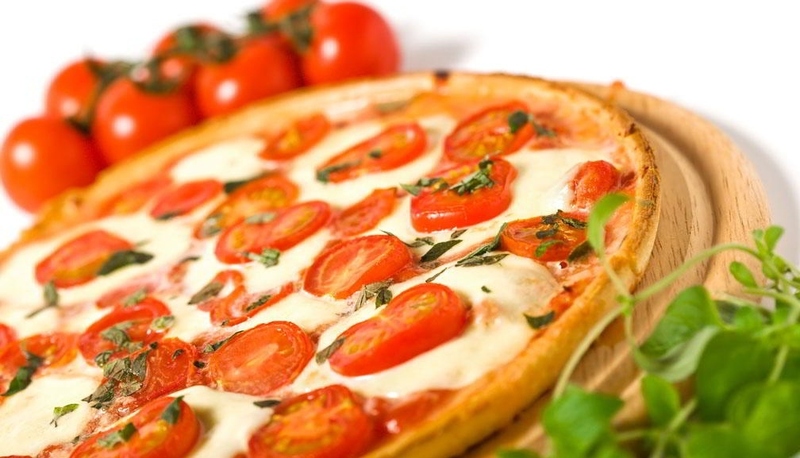 Oh that pizza looks delish, me crave for some slices now! I love Emma Stone and Andrew Garfield and I’m so glad they’re together, a match made in heaven!